Looking for LTL companies? 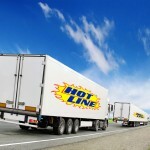 Hot Line Freight has been proudly serving customers for over 24 years. With 19 terminals, 250 employees, 125 late model tractors, and 250-53’ air ride logistic trailers, Hotline Freight is one of the premier LTL companies providing excellent LTL freight service to South Dakota, Iowa, Illinois, Indiana, Ohio, Minnesota and Wisconsin. Hotline Freight provides volume LTL direct shipments to all points in the contiguous United States. Hotline Freight stands out of the LTL companies by exceeding our customer expectations by providing excellent service, competitive pricing and flexibility. Excellent Service: Outstanding track record as one of the premier ltl companies aka freight carrier to Iowa, Illinois, Indiana, Ohio, Minnesota, and Wisconsin. Our volume LTL direct shipments to all points in the contiguous United States equal no break bulks resulting in faster service and direct shipments mean no damage. Competitive Pricing & Flexibility: Our brokerage service allows us to meet your pricing needs. Our “Hot Shot” service, for your critical shipments, is a guarenteed service available 24/7 – faster than air freight and up to 50% the cost. Hotline Freight LTL service provides 1-2 day service to most points in Wisconsin, Iowa, Minnesota, Illinois, Indiana, Ohio, Denver Colorado, and Omaha Nebraska areas. Hot Shot Service is guarenteed service available 24/7 within the contiguous United States. Give us a call for any size shipment! If you are looking for LTL companies, your search can stop here!